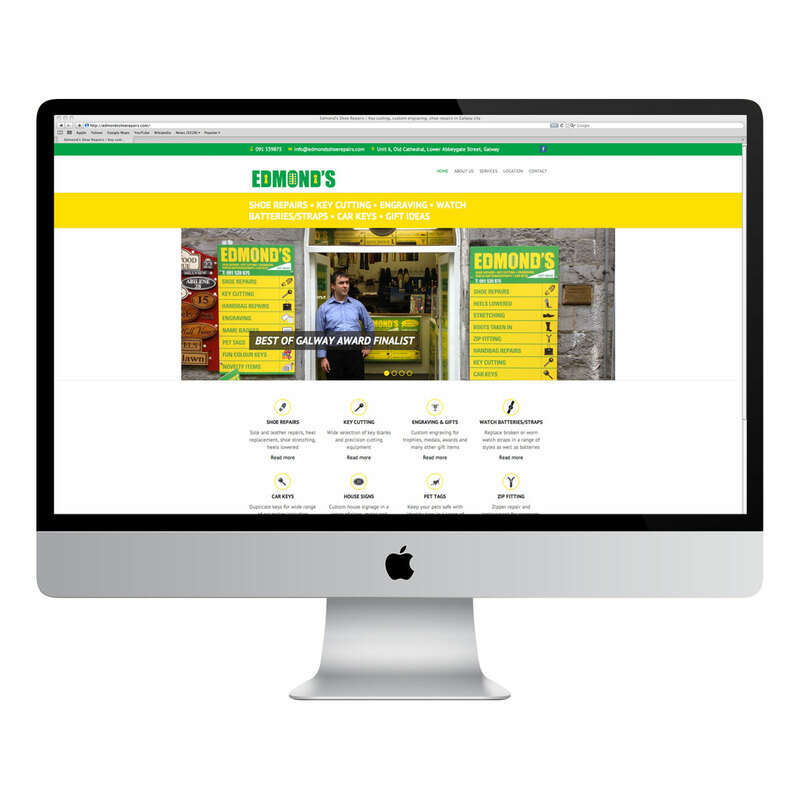 Edmond’s is an established shoe repair and key cutting shop in Galway city which was seeking to improve their brand awareness online by creating a website and increasing their social media presence. Critical information to provide online is their address, map location and contact details, in a format easily accessible for mobile platforms as many potential customers seeking their service might search for them on smart phone or other mobile device. As Swift had already developed a strong brand with distinctive colours and iconography, we extended that to their new website, which uses simple navigation to display Edmond’s services, location and other details in a user friendly format.